When you train a horse, it’s all about making him feel comfortable when he does the right thing and less so when he does the wrong thing. That training philosophy is based on the horse’s motivation. Horses aren’t motivated by food, but rather by the need for comfort and safety. They comfort each other with activities such as mutual grooming and swishing flies away from each other. Horses feel safe when they are together—there is safety in numbers for prey animals. No horse can be hypervigilant all the time, so being in a group means someone can always keep watch. You want your horse to want to look to you for comfort and safety. When you have the skill to convert his desire to be part of the herd to instead be part of your herd, you can train him to do amazing things. How can a horse’s motivation cause training issues? Consider this scenario: A rider is fearful of cantering but desperately wants to ride the faster gait. She cues the horse to canter, then tenses up when she feels the horse’s back round beneath her. She’s worried that the horse is going to buck. The horse often does hump his back and kick out or crow hop. The rider immediately stops the horse. She feels she needs to regroup before asking for the canter again. The horse gets to stop as she regroups. Then she asks the horse to move forward and cues for the canter again. He bucks. She stops. This buck-then-stop pattern repeats and even gets worse, because the horse is motivated by comfort. He is more comfortable when he gets to stop (a great reward), so he’s found a behavior that allows him to get out of work. Many problem behaviors that horses have begin because the horse gets to rest after doing what we humans consider to be bad behavior. This same cause and effect pattern occurs when a lazy horse is asked to canter. He’ll willingly step into the gait for five or six strides then slow down to a trot. In most instances, the rider simply cues the horse to canter once again—without a penalty or admonishment. He complies with the cue and the pattern continues. The horse is motivated to break gait because his reward is to get to slow down, even if just for a few strides. 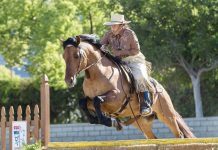 While your horse may not be motivated to work hard, you want to accomplish your riding goals. 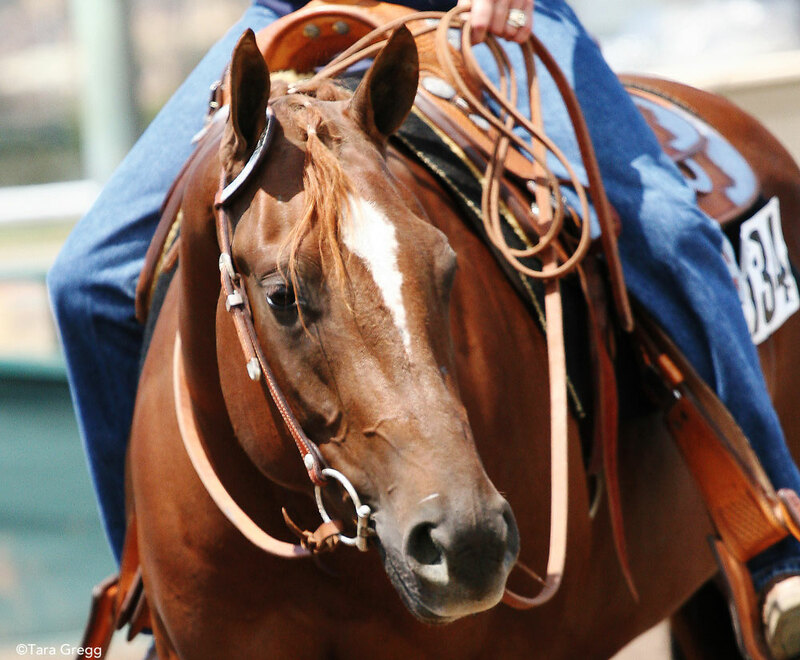 So how do you motivate your horse to do the activities you’d like to do? By making him comfortable when he’s doing what you’d like and uncomfortable when he’s not. That means there must be a penalty if he takes a break on his own. He must learn to keep doing what he was asked until he’s asked to do something different. Do your best to align your horse’s motivation for comfort with something that you deem is right. If you want your horse to act a certain way, make him more comfortable doing that task than doing what he has learned will bring him rest. 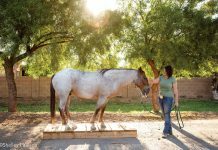 In the case of the horse that bucks at the canter cue or breaks gait at the canter, the solution is the same: The horse needs to immediately be cued to move more forward. A horse is not being obedient unless he moves forward at your request. In the case of the bucking horse, I don’t want to make the situation worse with an angry response. Instead, I’ll just drive the horse forward. If he bucks or I feel a hump in his back, I’ll cue him on and gallop. I’ll only cue him to stop when I feel him relax his back and move freely forward. By making him work harder when he is resistant and rest when he is willing, it will motivate him to do as I’ve asked—and to know that a break is coming when he’s compliant, not when he bucks or tenses in preparation. If the horse is lazy and doesn’t want to canter, he breaks into the trot and therefore benefits. Horses that do this are often well-trained, sweet and kind horses that have learned they can get away with this. They don’t know that they’re doing something wrong. The horse only has to benefit for a second to perceive a reward. If the rider didn’t admonish him—even by verbally hissing or scolding him—he has no reason to change his ways. Immediately upon breaking gait, there must be a consequence. I’ll scold with my voice by saying, “Hey, come on!” or I’ll pick up the end of reins and threaten to spank him. I don’t usually need to touch a horse; often just the thought of a spanking is enough to remind him of what you are asking. I’m not talking about hitting or harming—just letting the horse know that you disapprove of breaking gait. Horses want to be good; they want to please. However, they must know what the right thing is, otherwise they’ll seek out what is best for them and learn clever tricks to get out of work. Think about what is motivating your horse when he is acting a way that you don’t like. When you figure out what his motivations are, you’ll be able to replace the way he is finding comfort with a way that you can provide comfort.